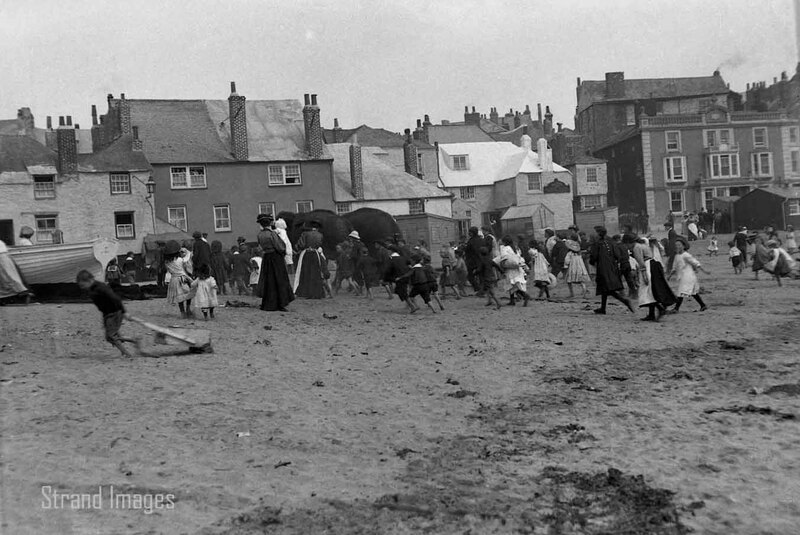 This Edwardian photo shows the beach at Penzance in Cornwall. I found it in a box of photos from a Cornish auction. I must admit that I wasn’t too impressed when I first scanned it because no one was looking at camera. But then I looked a little closer at what I thought was a pile of tarpaulins or fishing equipment. These dark shapes are a pair of elephants!! Not what you’d expect to see on a beach in one of the outlying edges of Britain. A bit more research told me that the circus used to visit Penzance every summer, and a popular daily activity was to parade the elephants through the streets to bathe in the sea. It seems that the circus only visited twice, so this really does show a rare snapshot in time.